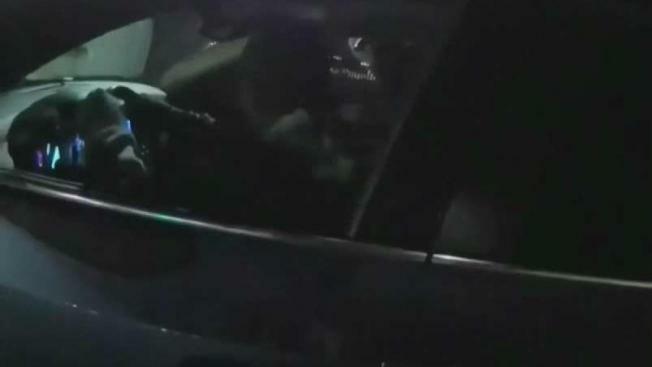 Pittsburg police on Friday released shocking body camera video of a deadly officer-involved shooting earlier this year. Cheryl Hurd reports. Pittsburg police on Friday released shocking body camera video of a deadly officer-involved shooting earlier this year. The police department said the shooting was justified, but the man's family thinks it shows just the opposite. Police officials said they released the video in an effort to be completely open with the community. The incident shown in the body camera video goes down in a matter of seconds. When it was over, 45-year-old Terry Amons was dead, shot three times in the back and once in the chest. But there is disagreement on exactly what the video depicts. "It touched me profoundly," said Amon's uncle Cedrick Moore. "I had no choice but to speak out what I seen." Pittsburg police on Friday released shocking body camera video of a deadly officer-involved shooting earlier this year. Jodi Hernandez reports. It shows officers responding to a call of suspicious activity in a Nation's parking lot. When officers approach a man sitting in a car, the man has his hands on the steering wheel, but officers spot a gun in the center console. The man then moves his arm toward his lap and seconds later officers fire several rounds, killing Amons. Police said the officers feared for their lives, but his family's attorney said the officers misinterpreted what actually happened. "You’re nervous, you’re nervous when your hands go all over the place, but not one time did I see him go for that gun, I was looking for that," said attorney John Burris. The District Attorney's Office has concluded the shooting was justified and the officers do not face any criminal charges. The police chief issued a statement, saying "We want to remind the public this continues to be an emotionally painful and difficult situation for all involved and our thoughts remain with Mr. Amons family." "To me, what happen was unjustly," said Moore.